Today, we have found some amazing cashback offers on Paytm Mall on laptops. The list contains gadgets from brands like Asus, Dell, Lenovo and more. 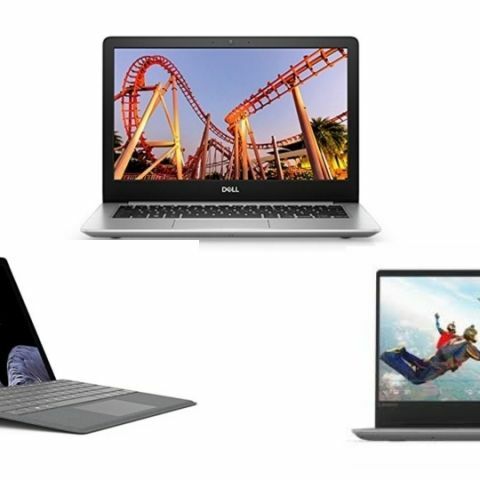 Today, we have found quite a good number of deals on Paytm Mall on laptops from brands like Asus, Lenovo, Dell and more. The Dell Inspiron 5370 is powered by the latest 8th Gen Intel Core i5 processor, which is paired with 8GB RAM and 256GB storage. The laptop features Intel UHD 620 graphics and comes with installed Windows 10. Click here to buy. The Lenovo IdeaPad 330S is backed by the latest 8th Gen Intel Core i5 processor and come with 4GB RAM and 1TB storage. The device sports a 14-inch full HD display with a resolution of 1920x1080 pixels. When it comes to the battery backup, the compay claims that it can offer six hours of battery life. Click here to buy. The HP Pavilion 15-CK069TX model features an Intel Core i5 processor, which is paired with 8GB DDR4 RAM and 2TB storage. The device is also equipped with 2GB DDR3 NVIDIA GeForce MX130 graphics card. It comes with installed Windows 10 Home. Click here to buy. The ASUS VivoBook S15 is powered by the latest 8th Gen Intel Core i5 processor. The device packs an 8GB DDR4 RAM and 1TB hard drive. As far as the graphics card is concerned, the device comes with a 2GB DDR5 Nvidia MX 150 graphics card. Click here to buy. The Microsoft Surface Pro is a 12.3-inch 2-in-1 laptop that is powered by the latest 8th Gen Intel Core i5 processor, which is paired with 8GB DDR4 RAM and 128GB storage. This device is equipped with Intel HD 620 graphics. Click here to buy. top android game guys which one do you feel is?